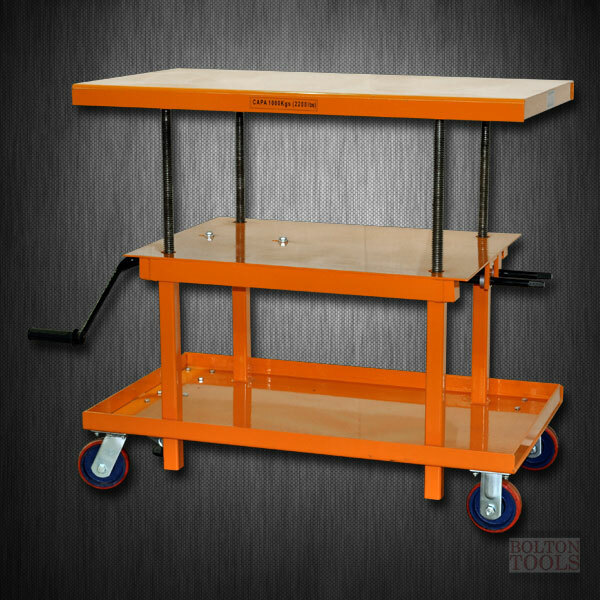 The Bolton Tools Mechanical Hand-Crank Hydraulic Lift Table can lift up to 2200 lb. 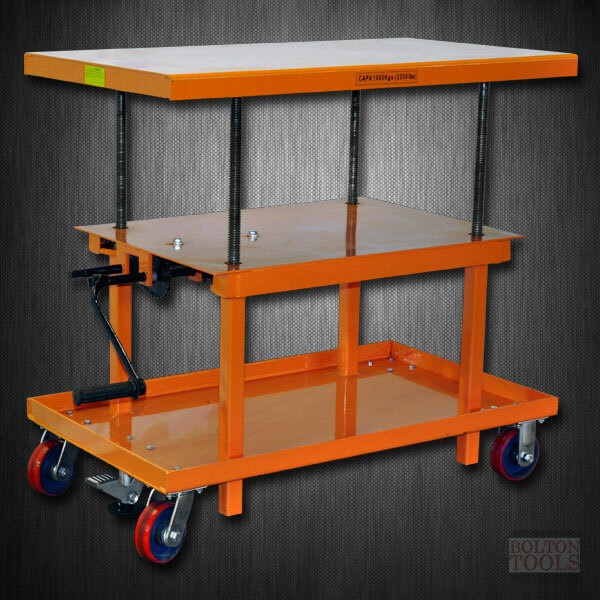 This Lift Table can be easily moved in most any direction. You can rest assure that once the break pedal has been engaged, your table will not be a safety concern. 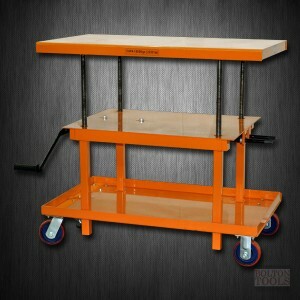 Using the Hand-Crank to lift your material to a maximum height of 42.1 inches will be a breeze. Table Size: US: 24.0" x 41.9"
Packing Dimensions: US: 43.3" x 24.8" x 22.4"
What's the difference between this model and MT2436? - The Table size. For the MT2436 the table dimension is compact with 24.0" x 36.0" (610 x 915 mm). Also, the net weight is 282.2 lb (128 kg).